Essential for cell oxidation and sugar absorption. Monty’s micronutrients are designed to supplement traditional nutrient management programs and to assist in addressing specific micronutrient deficiencies. 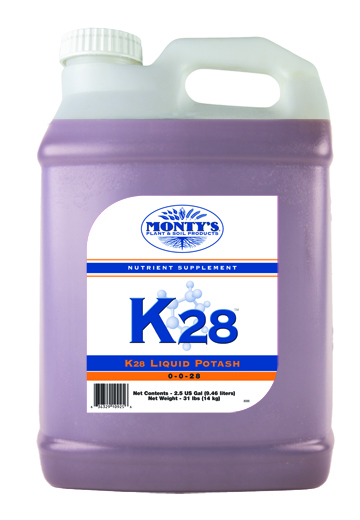 Each formula is designed to overcome specific plant stresses associated with nutrient uptake. 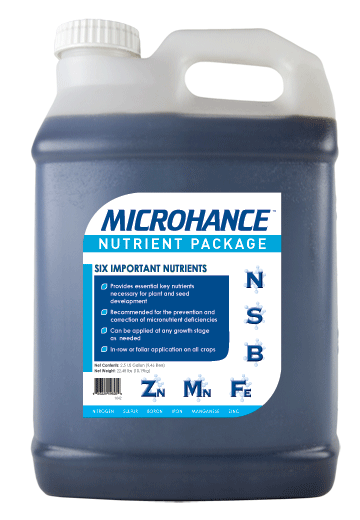 By applying these foliar or soil applied micronutrients you can address deficiencies rapidly to speed recovery and reduce yield drag. Available in 2.5, 30, 275 gallon – and bulk sizes. Please check with your dealer for availability and application rates. WARNING: These micronutrients are intended only for the prevention and correction of their specific nutrient deficiency. Overuse on the intended plant, or under conditions other than those recommended, may result in serious injury to the plant. Monty’s recommends first taking a soil test to determine micronutrient levels in your soils. Foliar applied at 1 to 2 pints per acre. Can be applied by itself or in addition to a starter, or with Agrihance-V and Agrihance-R. For crop specific application information, see crop section of the catalog.